Of course, the product description reads a bit like a disclaimer, but what do you expect for such a quick turnaround? 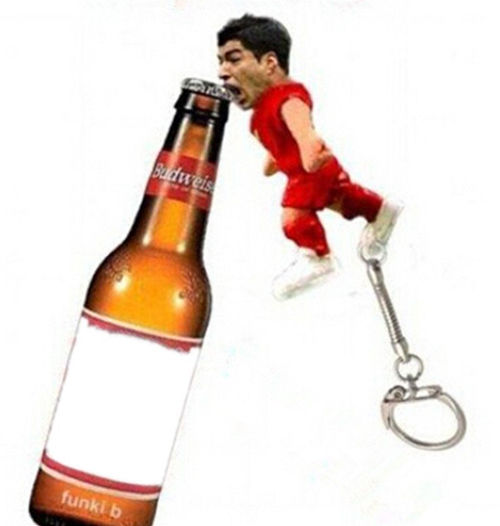 In any event, this Suarez Bite Bottle Opener is amusing. Luis Suarez received a nine-match and four-month ban from the game for his actions. Here is the full description. Yes, it’s a mouthful. Ahem.